Please join us on Social Media. We love to engage! Every once in a while in our industry, you are given the opportunity to do something totally out of the box. 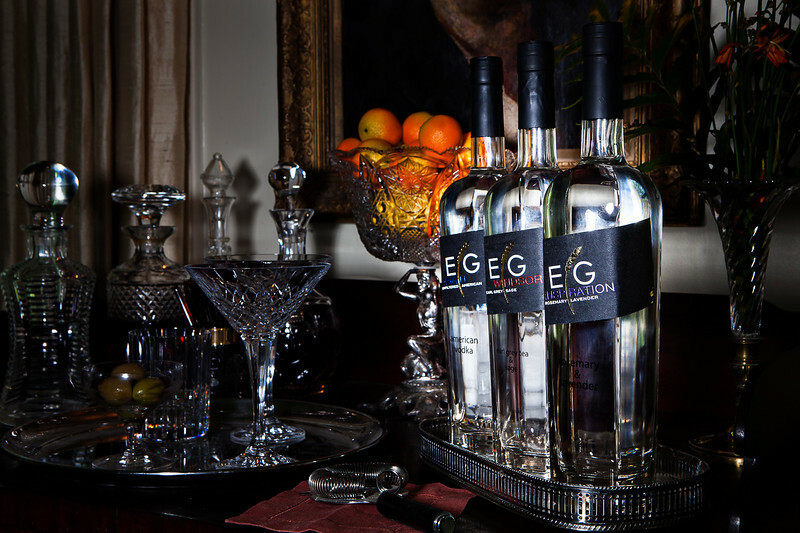 When the owners of Enlightened Grains Vodka asked to use my home and garden for a photo shoot for their three products (or as they say, "Inspirations") how could I say no? Granted, six people working in my home for seven hours, emptying drawers, ironing, dusting, polishing, all may sound glamorous, but left this team dead to the world at the end. Thank goodness we knew how to celebrate and with what! Enjoy these photos from photographer Andrew Cebulka.